It is not uncommon to come across people trying to find their own Phone number. You will find below 3 different methods to Find your Phone number on iPhone & Android. 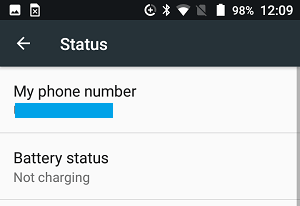 If you are trying to find your Phone number or the number that you are calling from, it is likely that you have either shifted to a new phone number or temporarily borrowed a phone from someone. Other reasons for people trying to find their own phone number range from people momentarily forgetting their own phone number or not making efforts to memorize their own phone numbers. 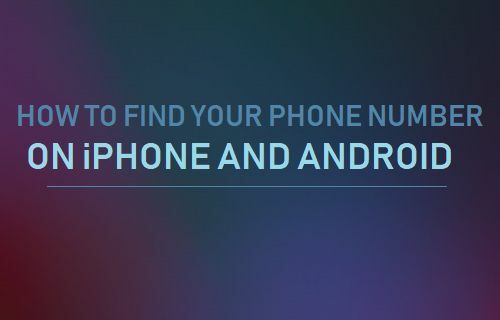 Luckily, there are multiple ways to find your Phone Number on both iPhone and Android. 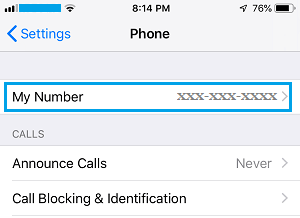 All that is required to find Phone Number on an iPhone is to tap on Settings > Phone. 3. On the next screen, you will find your Phone Number listed next to My Number. 2. 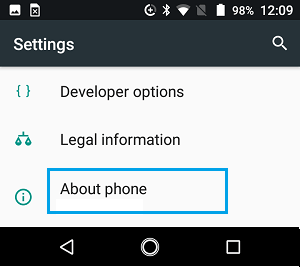 On the Settings screen, scroll down and tap on About Phone (or About Device) option. 3. On the next screen, tap on Status. 4. 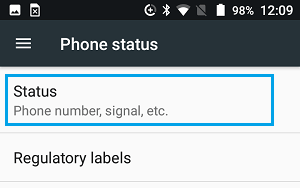 On the Status screen, you will see your Phone Number listed under My Phone Number section. On both iPhone and Android, you can find your Phone Number by calling 1-800-444-4444 from your phone. Once your call is placed, you will hear a voice message reading the phone number that you are calling from. If your iPhone is currently plugged into the USB port of your computer for charging, you can find the phone number by using iTunes. 2. 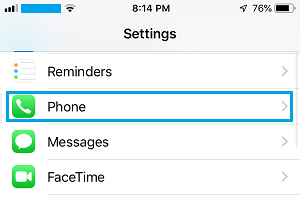 Next, click on the little Phone icon that will appear (right below the top menu bar) as soon as your iPhone connects to iTunes. 3. Next, click on the Summary Tab in the left pane and you will the phone number displayed in the right-pane. Apart from above methods, you can also find your Phone Number by going to the Contacts App on Phone and tapping on your Name (the first entry in Contacts App).